3D virtual reality has long held promise as a new medium for interaction, but outside of the world of gaming few implementations have delivered strong results. 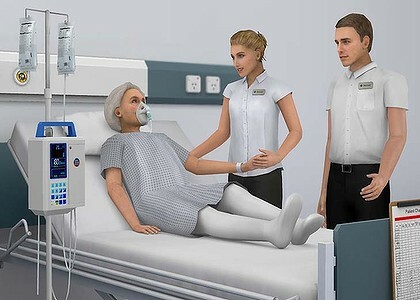 That all appears set to change however as 3D makes a strong comeback in the world of simulated training, and Australian companies including VastPark and Simmersion are poised to cash in. In this story for the Sydney Morning Herald’s IT Pro site I had a chance to look at two implementations of 3D in training in the health sector, and it seems that these are only the tip of the iceberg. As broadband speeds improve and processing power gets cheaper, you can expect further developments that will see the virtual environment begin to more closely mirror the the real.